7Solutions India specializes in providing customized canopy steel detailing services as per international standards and codes. We can manage canopy steel detailing projects from start to finish. We have a team of experts and professional who work diligently to make each canopy steel detailing project a huge success. Our engineering team gives surety that they can achieve the construction goals and building code requirements. At 7Solutions India, we provide canopy steel detailing services with respect to construction of a building either it is residential or commercial or other. We have well-experienced and qualified project managers, steel detailers and checkers to fulfill clients’ all structural requirements for various steel structures. 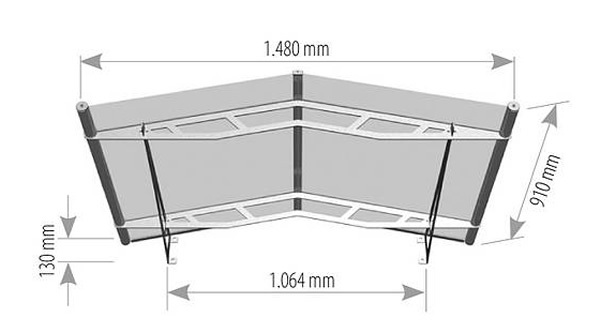 Canopy structures can be in different shapes such as rectangle, square, umbrella shape etc. For more information about canopy steel detailing and drawings services, please Contact Us or send us an email at info@7solutionsindia.com.